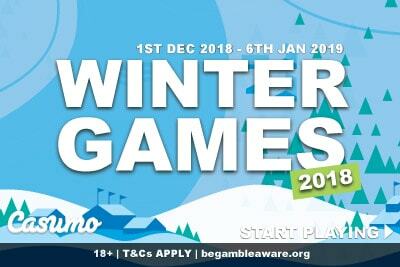 For 5 weeks Casumo Casino are running a massive Christmas promotion where you can win jackpots, blackjack bonuses, mystery prizes, cash and so much more in the Casumo Winter Games 2018... here's everything you need to know. Let the games begin! But unlike the Olympics, you won’t have to work quite so hard to get a bronze, silver or gold. In fact, most of these “games” are just a chance to win extra cash whilst playing a whole host of the great casino games at Casumo. Whether you read this on the 1st of December or the 6th of January, you’ll be able to try your chance at finding a little extra at this wonderful unique mobile casino. We break down everything you can find, when you can play, and what you should play this December at the Casumo gambling site. You’ll get different offers at different times between whenever you read this and the 6th of January. In order to make it interesting, we will be looking at all the T&Cs and give you the dates right there in the title. So if you are wondering what you’ll find, just browse down and find the one that appeals the most of you or the date which you’ll be playing. We promise, there more than one Casumo slot promotion happening at any one time, however, most boil down to: play casino games, win cash. First though let’s start with the promotion that lasts all month long until the 6th of January 2019 and then move on to some more specific tournaments and slot contest. There’s not much to this one. Casumo has set three secrets jackpots that will pay out thousands in cash to 3 lucky players. Between now and the 6th of January, those three jackpots will burst and three Casumo players will walk away a whole load richer. How do you win the Must Drop Jackpots? You play on any of the many, many video slots in Casumo. Any slot, from any provider, whether your favourite is the old-fashioned Agent Jane Blonde slot or the brand new Monopoly Millionaire by Bally. What are these casino reel races? They are free to enter slot tournament where you join, play on certain slots, and get points for every win on the screen. You do have to play the games using your own money, so be sure you read all the rules of Casumo Reel Races before you jump in. However, it’s not hard to pick up and if you want to stop at any point, you just don’t play. It’s as easy as that. These tournaments run every half an hour and you usually win free spins bonuses on different games. However, every night at 8 pm you can win up to £€$1,000 in cash. Well, not in December baby! Because this Holiday festive season every night at 8 PM the top prize is increased to £€$2 in cash, plus there are more cash prizes for the top ten players. But that’s not all, on Sunday the Grand race at 8 PM will be a huge £€$5K top prize, because this is the season to be generous, after all. Do you love a few hands of 21? Prefer card games over slots? Then Bravo! You’ve not only got the patience of a saint, reading through this whole post about slot machines, but Casumo has a Sunday offer for you. At the Casumo Live Blackjack tables every Sunday in December 2018, from 6 PM till 11.59 PM (CET), random cards will be added to the blackjack deck giving away some sweet sweet cash bonuses. You can win more than one card, and these are cash prizes with no wagering requirements rather than blackjack casino bonus money. For four weeks you’ll be able to win Apple gizmos, cash, and if you are really lucky, a trip to the Maldives. 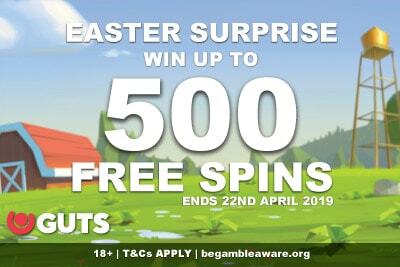 Just wager £€$50 on Casumo Live Roulette, Casumo Blackjack 1,2,3, Casumo Clubroom or Topwheel Treasures to get a raffle ticket into that weeks draw. But that’s not all. On the 31st of December, one random player who played on the games above will be picked out a hat and will win 7 nights in the Maldives with a friend. €179,000 worth of cash is up for grabs between 1st and 23rd Dec 2018. And guess what you have to do? For every £€$20 you play on any of the qualifying games, you’ll get one ticket into the next draw. You can only win one prize per draw, but there’s a reason this is called the Big Giveaway. 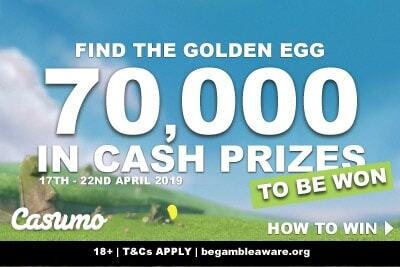 Casumo is giving away BIG prizes, all with no wagering requirements, so it will go straight into your bank account. What slot games do I need to play? Fruit Shop Christmas Edition™, Secrets of Christmas slot, Flowers Christmas Edition™, the new Jingle Spins, The Legend of Shangri La slot with Cluster Pays and/or the standard Berryburst game by NetEnt. Get into the festive mood and play some festive slots. It might win you a slice of 90,000 in cash, and you don’t even have to win in the actual slot. Random prizes totalling €20,000 in cash will be given away between 3rd and 9th Dec 2018 when playing Play’n GO slot games. All of the selection above feature some great games which we’ve given at least a 4 if not 5-star slot review. It’s totally random, it’s real cash, and one minimum bet of 0.40 a spin could land you with any one of these mystery mobile casino prizes. The countdown for Christmas and the New year has begun, which can only mean one thing: we all want to play Yggdrasil casino slots… right? Sure, why not, if playing them means we get a chance to win 500 prizes totalling €230,000. If we are honest, there is at least one game we’d happily play each week. Which date would I play to get the best odds? On any that has one of our favourite games of course. Whilst it’s tempting to go for the big 80,000, the 25,000 tournaments give you more chance, and have a lower betting range. Some of our favourites would have to include the underrated Gem Rocks slot and Penguin City game, but also all time favourite Vikings Go Wild and Golden Fishtank phone slot. 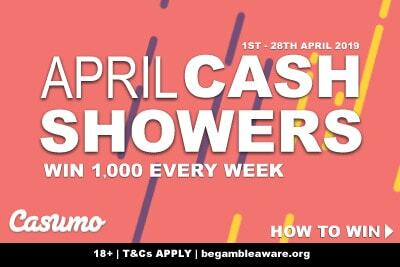 In case you hadn’t notice, Casumo is giving you lots of chances to win extra cash prizes for playing the iPhone and Android slot machines you love. However, this is for those who got a nice Christmas bonus over the new year, because you’ll have to wager £$€50 on any of the games below to get a ticket into a £€$10,000 raffle. Play BerryBurst MAX slot, BerryBurst & the original Fruit Shop game between Mon 31 Dec 2018 and Sun 6 Jan 2019 and you could win a whole load of random prizes. How much can I actually win playing NetEnt slots? As we said, there’s £€$10,000 up for grabs, and at least half that for one lucky random player. The draw will take place on the 7th of January 2019 and all it takes is a little luck and some love for some very fruity NetEnt casino slots. If you love slots, getting value for money, and playing at a fantastic and unique mobile casino, this Christmas bonus casino promotion is for you. Go to Casumo today and check out all they have to offer.